One of my greatest wedding regrets is that we didn’t get married on the beach. Y’all, we love (LOVE!) the beach. In fact, before we lived on a beachy tropical paradise, most of our travel planning revolved around the familiar battle of Beach vs. Somewhere New and Awesome. 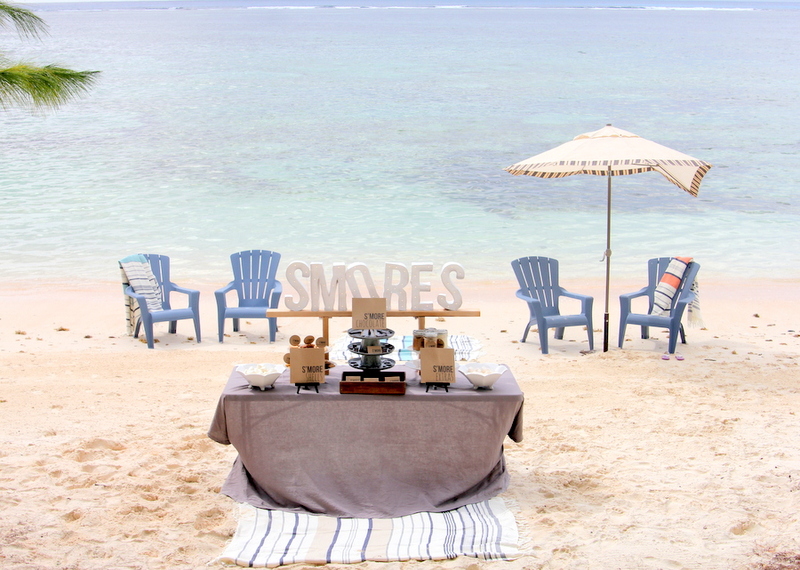 We are seriously the perfect candidates for a beach wedding. 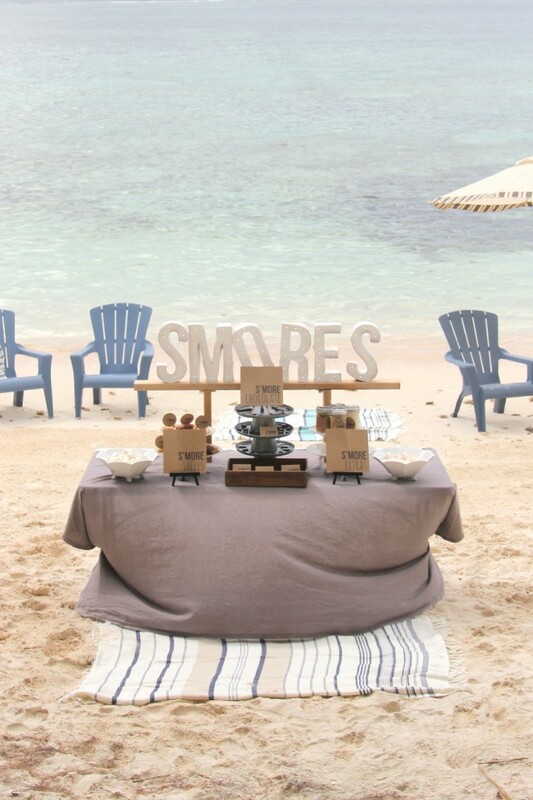 The greatest difficulty, in my imaginary beach wedding planning, is that since the beach is kind of the perfect backdrop for all of the dessert tables and food stations and drink bars, how could you choose? This Sangria Bar would’ve been perfection on a beach (or this Mojito Bar)! 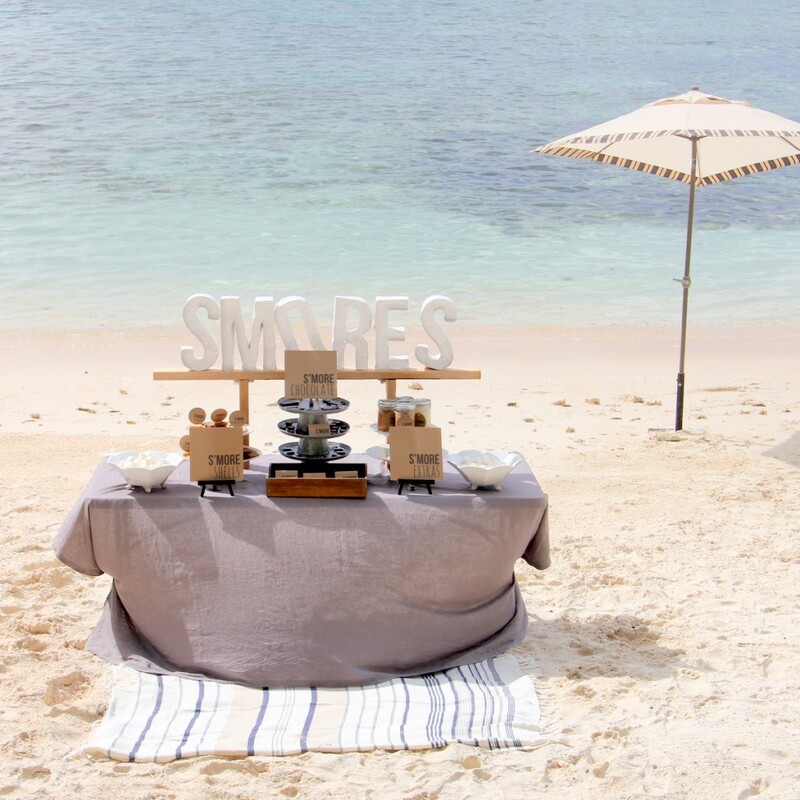 And don’t get me started on how fun a Donut Station on the beach would be for a morning wedding. 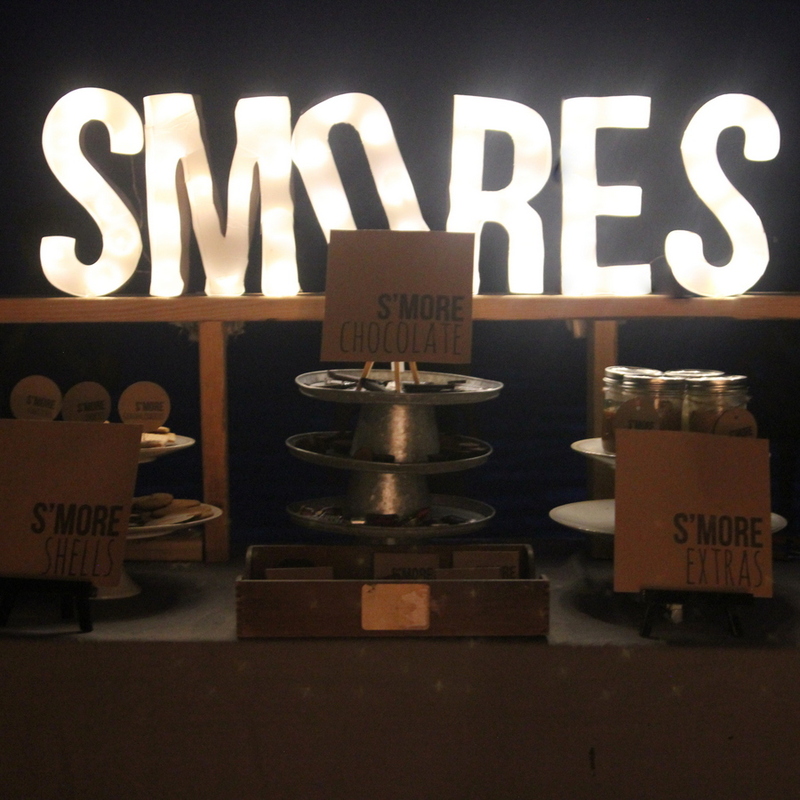 However, after putting together this Smores Bar for Adam’s birthday, I kind of feel like I have my answer. 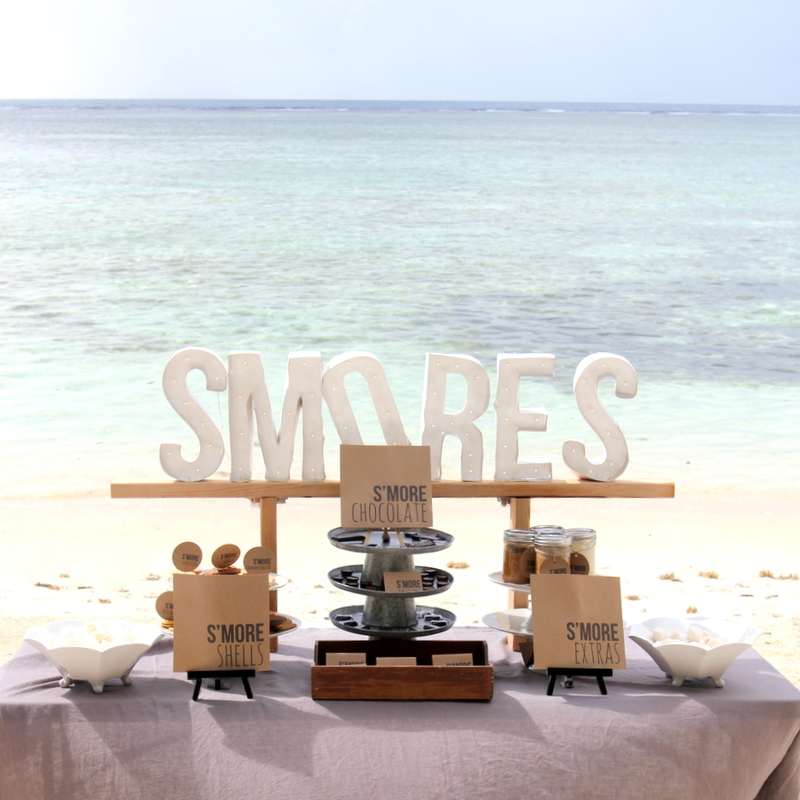 Wedding dessert table turned awesome s’mores station? One hundred times yes! 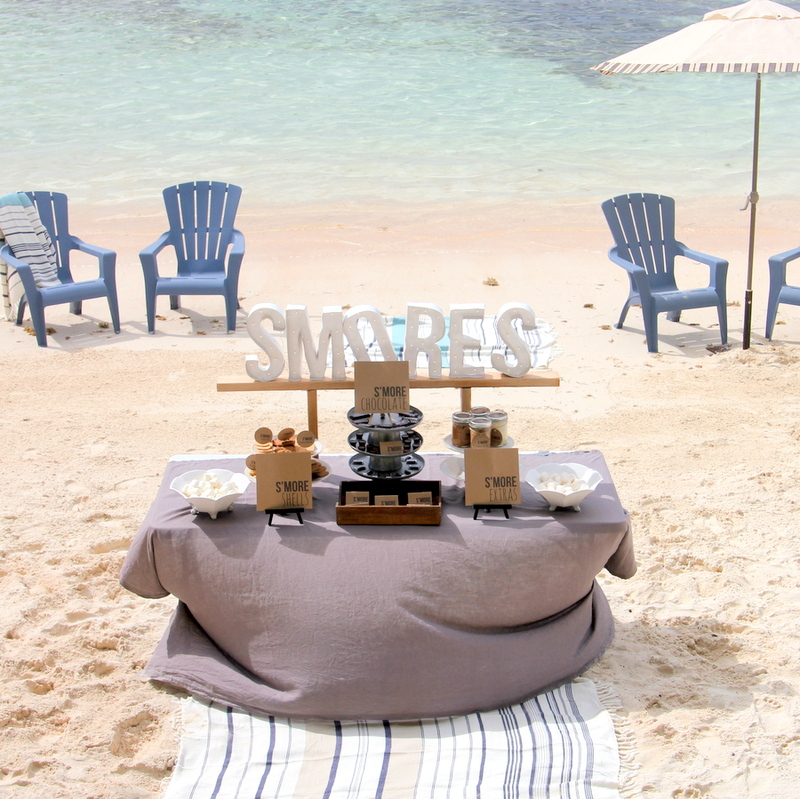 It’s like they were made for each other- s’mores and beachy weddings, er, parties. Since I’m not planning a wedding, I’m currently living vicariously by adding all of my favorite wedding dessert table options to the parties and showers on my current docket. And s’mores were the perfect option for celebrating my chocolate-loving husband’s birthday! Adam doesn’t really eat sweets unless there is chocolate involved, so his Smores Bar had a whole buffet of chocolate options. 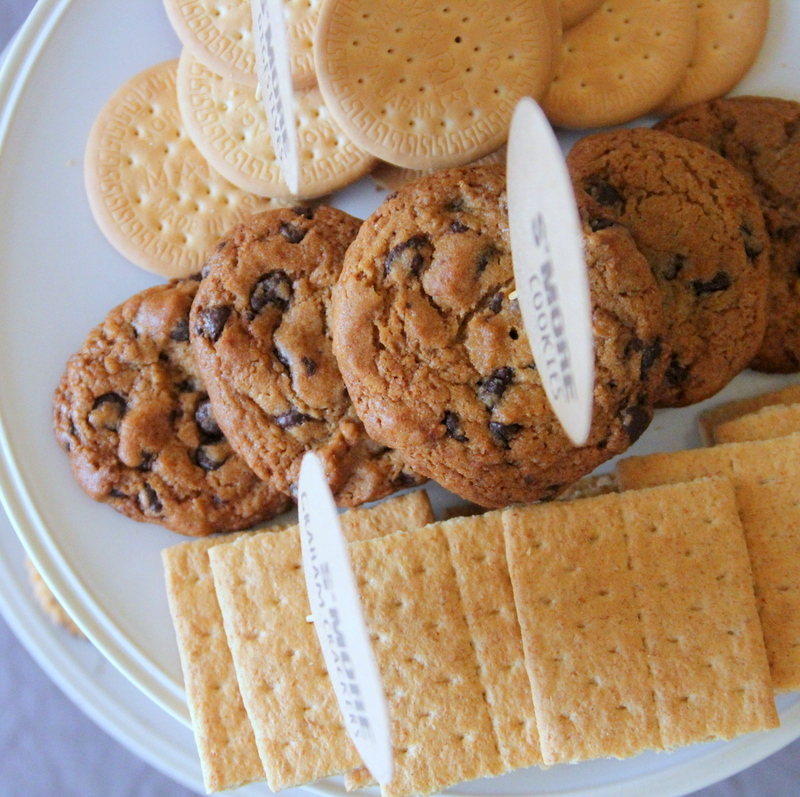 Of course, we expanded our horizons beyond the basic graham cracker and all sorts of s’mores ‘shell’ options- fudge stripe cookies, oreos, ritz crackers, digestives, chocolate chip cookies, and ginger snaps. And just to add a few more options to the mix, we set out “S’more Extras” as well- peanut butter, cookie butter, vanilla frosting and raspberry preserves. As you probably guessed, there was no end to the combinations of deliciousness that people discovered. Chocolate chip cookies with raspberry preserves and dark chocolate? Umm, yum. And my personal fave- ritz crackers with double Reese’s cups. As I’m typing this, I’m trying to figure out if we can do a bonfire on the beach tonight to recreate that gem. Also, now that we have that marquee S-M-O-R-E-S sign, I can’t imagine how many Smores Bars are in my near future. 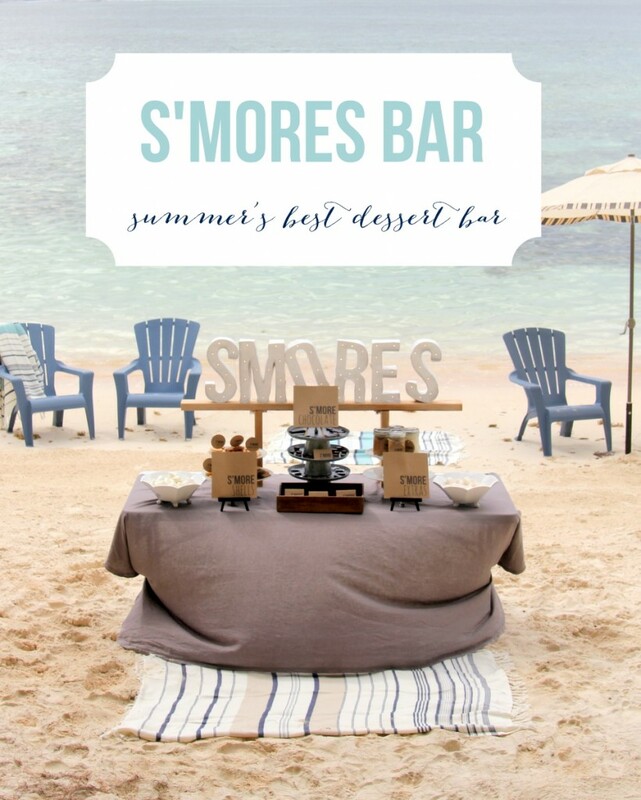 Because a bonfire on the beach + gourmet s’mores = summer at its very best. Yeah so, I’m totally strealing this idea. 😉 I’m already planning my husband’s birthday and he’s asked for Nachos and beer. Lol. 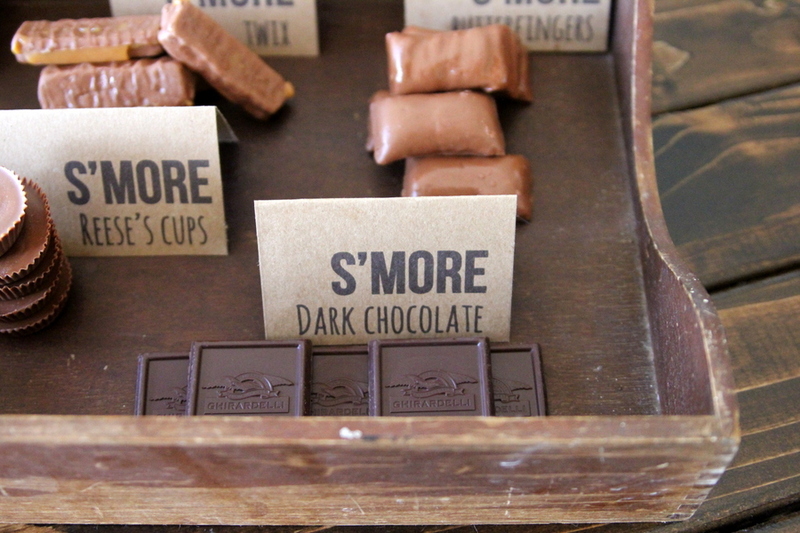 I may need to add S’ mores….. I feel the exact same way about the beach!! Should’ve had a beach wedding for sure! Love that you’re getting to live the beach life! And this idea is genius & oh so delish! 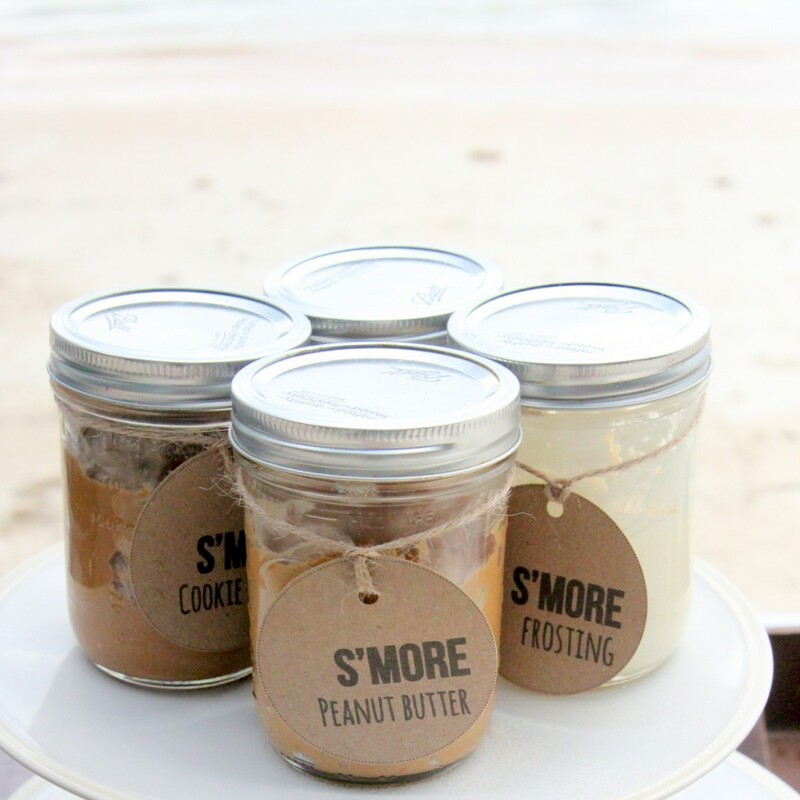 We always use Nutella on our s’mores but your other ideas sound sooooo delish! Totally forgot to mention the nutella- I love nutella on s’mores. And YES BEACH. Always. As much as possible!